List-urls is a web analysis tool which is used to extracts all the urls from the web page. This tool is written in python by Muts . 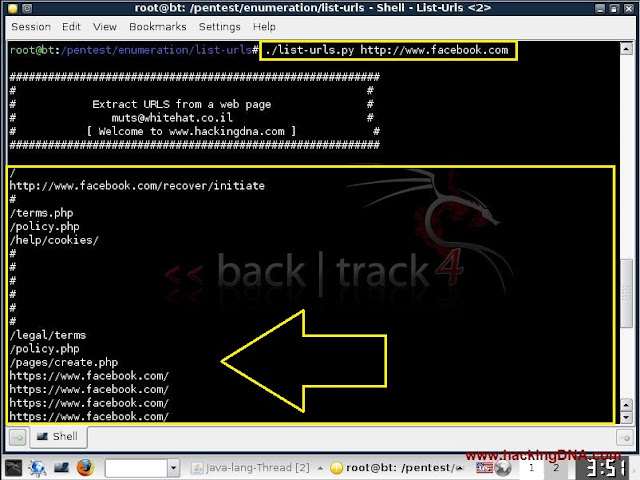 You can easily find this tool on Backtrack 4 . Its simple to use , just follow the command . Q. Is this tool is open source ? Q. Is this tool easy to use ? Q. In which process we can use this tool ? A. You can use this tool in Web Analysis process . Q. So when we use this tool , can webserver detect us. Why ? A. Yes , because when you run a scan on a particular url , you are doing the active scanning which can be detected by the webserver .